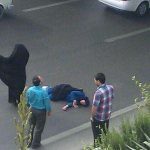 Archive Photo- A woman who had committed suicide in Iran, by jumping from over passes. Suicide is becoming an epidemic across Iranian society. So much so, that Iran Human Rights Monitor has named it a “humanitarian catastrophe”. The Southern and Western provinces of the country are among the worst affected, including Lorestan, Hamedan, and Khuzistan. All social groups, demographics, women, and even children have fallen victim to Iran’s suicide endemic. In a comprehensive report gathered by Iran Human Rights Monitor, from 2011 to 2015, suicide cases in Iran climbed by 66% among women and 71% among males according to the state-run news agency, Khabar Online. The rate is highest among the Iranian youth. Human Rights Monitor suggests that the suicide tsunami is borne out of Iran’s increasing socioeconomic problems. For every 15 suicides, 11 stem from economic reasons. The rial is in freefall, the Rouhani government has plundered the country’s institutions, and the mullahs continue to funnel billions of dollars to military groups and terrorists abroad, leaving the Iranian economy in ruin. The purchasing power of Iranians fell by more than 48% between March and June 2018. 10% of the population live in absolute poverty, and around 33% of Iranians live below the international poverty line. There is also little to suggest that Iran’s economic pressures will ease in the near future. Iran’s youth are without hope, living in extreme economic poverty, with little access to jobs. It is hardly surprising that many see suicide as the only way out of their extreme circumstances. In one instance, a shopkeeper committed suicide by setting himself on fire outside the Tehran municipality on September 12th, 2017. His store had recently been closed down by regime agents, robbing him of his livelihood. In another instance, in February, a young employee of the Haft Tappeh Sugar Cane Company drowned himself in a canal. He had not been paid by his employer and had large outstanding debts. Among women, the suicide rate is far higher. 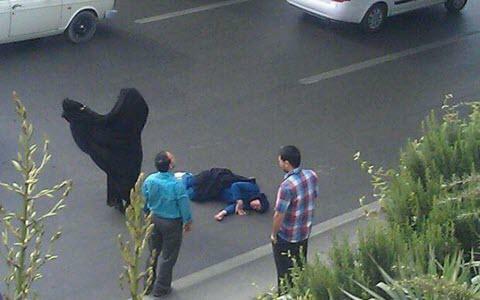 Between March 2017 and March 2018, nine women committed suicide every day in Iran. This rate is around twice the rate of male suicide. The preferred method was also self-emulation, with 40% of all female suicides occurring in this way. Startlingly, more children are turning to suicide as a way out. 212 children under the age of 17 committed suicide over a 12-month period. In the last five months alone, 14 girls under the age of 18 have taken their own lives in Kurdistan Province. In one case, a boy aged 12 hanged himself after his mother sold his bike to pay for rent on their property. The regime’s response has been woeful. In response to an increase in the number of suicide cases due to the consumption of aluminum phosphide, Iranian regime’s Social Deputy Minister of Health, Hadi Ayazi, has suggested controlling aluminum phosphide purchases. It is a clear case of treating the symptoms instead of the cause. Rather than address the economic crisis that grips Iran by ending the plunder of the country’s financial institutions, ending government corruption, and halting spending on external conflicts, the mullahs would rather limit the public’s ability to purchase aluminum phosphide. In addition to crippling financial worries, Iran is among the top ten countries in the world for rates of depression. The Ministry of Health estimates around 23.4% of the adult population suffered from a mental disorder like depression in the last 12 months. In Tehran, the rate was higher, around 30.2%. Every individual that commits suicide due to financial ruin and economic worries is another body in the hands of Rouhani and his cronies. How many more people will take their own lives before the mullahs get a grip on the situation?